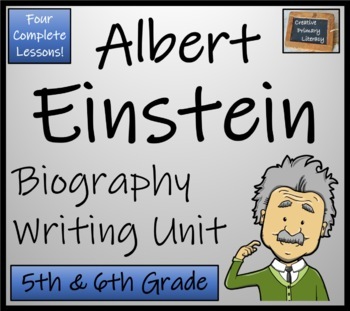 This is a biography writing unit about the life of famous scientist, Albert Einstein. The unit has been split into four separate lessons which will take students approximately 40-50 minutes each. The first lesson is interactive and involves them cutting out facts, and then sorting these facts into paragraphs. In the second lesson the children need to use these facts to write four paragraphs. Then, in the third lesson children need to choose the most important facts and incude these in an introduction; after this they need to answer several questions before writing up their conclusion. 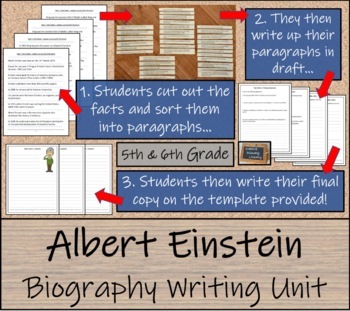 In the final lesson your class will need to check their draft paragraphs for mistakes before writing up their work into a neat copy on the template provided. 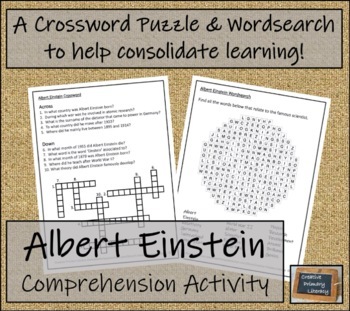 If you would like to add another lesson, download my Albert Einstein Reading Comprehension Activity for just $1.50. 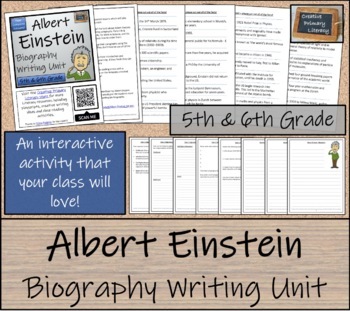 This would give the students more background knowledge before they start writing the biography.